While winter was the time to conserve energy and reduce activity, Spring is a time of regeneration, new beginnings and a renewal of spirit. In Spring we focus on supporting the gall bladder and liver. When these organs function well, physical and emotional activity also run smoothly. 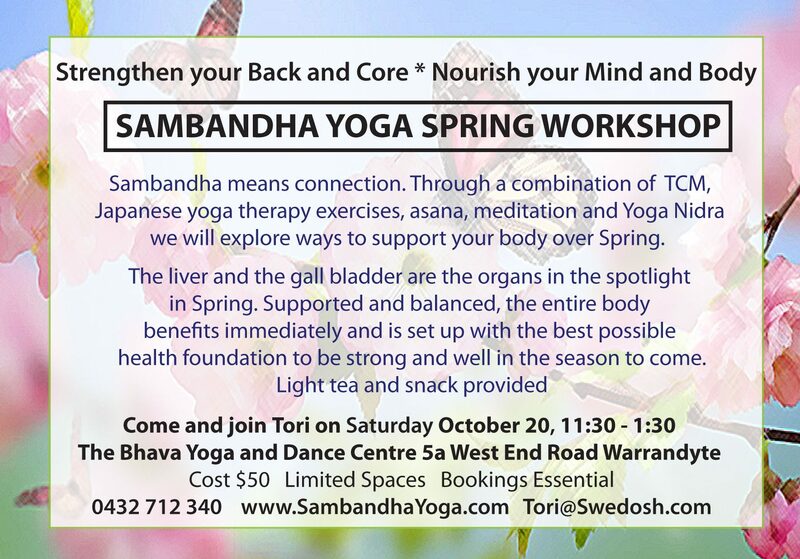 On Saturday October 20, please join Tori exploring various techniques such as Tradtional Chinese Medicine, The 5 element theory, Japanese yoga therapy, Hatha Yoga, meditation and Yoga Nidra to strengthen the body, mind and emotions in this Winter season. I will provide some seasonal snacks and strengthening tea at the conclusion if you would like to stay and chat. This workshop promises to be informative, fun and creative. I hope you can join me! I’m so excited to be sharing this information with you! 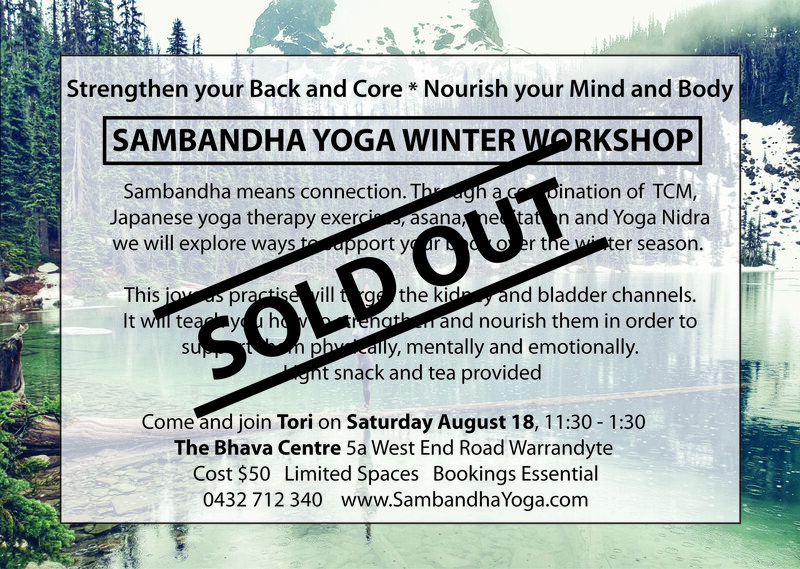 On August 18 please join Tori for an amazing journey exploring various techniques such as Tradtional Chinese Medicine, The 5 element theory, Japanese yoga therapy, Hatha Yoga, meditation and Yoga Nidra to strengthen the body(especially the kidneys and bladder channels), mind and emotions in this Winter season. I will provide some snacks and kidney strengthening tea at the conclusion if you would like to stay and discuss our journey together. This workshop promises to be informative, fun and creative. I’m so looking forward to it, I hope you can join me!